Cobwebbs pride themselves on taking psych to depraved new depths. The depth that Cobwebbs dig to is far from the light of the sun. Their world is polluted and frightening; acid rain and lightning. It’s hiding in subterranean lairs, rebelling against the topside. I’m a bit late on the write-up of this album, but if you’ll forgive my tardiness I’d love to discuss the new Cobwebbs album, World Wide Webbs. 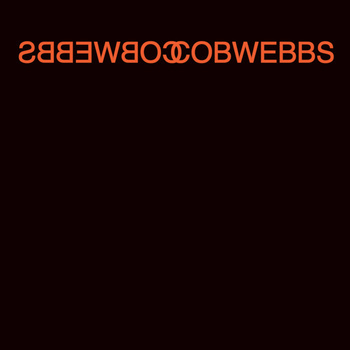 Similar to the previous LP, All Around, World Wide Webbs is double dipped in reverb and psychotropic psychopathy. Cobwebbs pride themselves on taking psych to depraved new depths. Traditional psych music endorses an expansion of consciousness and an exploration of the workings of the mind, the kind of noise that Cobwebbs traffic is a different animal. The depth that Cobwebbs dig to is far from the light of the sun. Their world is polluted and frightening; acid rain and lightning. It’s hiding in subterranean lairs, rebelling against the topside. The vocals are aggressive and confronting with an unsettling unhinged nature that channels anger, boredom and spite in equal measure. The guitars are in a constant state of perma-squall, with heavy psych elements that ripple the surface like static electricity. The bass provides the groove to much of the album and acts as a leash that keeps everything in check. The drums sometimes get a little bit lost in the mix; the beat sounded a bit timid in some songs, but helped to jackhammer the point home in the end. Generally, World Wide Webbs will be a polarising record but one that has its place within Brisbane and Australia in general. Australian’s are pretty good at churning out dank, poisonous brews of noise. This wont be everyone’s cup of tea (because tea it ain’t – moonshine, maybe) but if you dig the dirge you will dig this. Fans of other Brisbane-based slop-fiends, Sewers, might enjoy this. World Wide Webbs is the 4th release to come from blog/label Sonic Masala, bookending a fantastic year of releases that has included Roku Music’s Collider and Tape/Off’s Chipper. Each album released has been quality, and the depth in the release selection has been phenomenal so far.